The human menstrual cycle is divided into two phases: the "follicular phase" before the ovulation and the "luteal phase" after the ovulation. During the follicular phase, Luteinizing Hormone (LH) and Follicle-Stimulating Hormone (FSH) from the anterior pituitary gland induce the growth of a cluster of follicles in the ovary. At the midpoint of the cycle, an LH surge stimulates ovulation, the release of a mature oocyte from the follicle into the oviduct. When this occurs, the remaining cells of the follicle are converted into the corpus luteum, which functions as a temporary endocrine gland. As the luteal cycle begins, the corpus luteum produces progesterone, which signals the uterine endometrium to prepare for a potential pregnancy. This preparation involves significant growth of the uterine endometrial lining, marked by increased vasculature and prolific secretory activity. The luteal phase typically lasts 11-15 days in humans. If the oocyte is not fertilized during the luteal phase of the cycle, the corpus luteum atrophies. This will lead to the sharp decline of progesterone production and as a result both the oocyte and the specialized uterine lining are shed, in the period called menstruation. Then the next cycle begins. The menstrual cycles in other mammals are similar to that in humans, though the timing and duration of each part of the menstrual cycle vary among species. The hormones involved are the same and the cycle is generally subject to the same regulatory control as well, except for the role of CG (see in a later section). When fertilization occurs, however, the menstrual cycle must be interrupted and adopted for the proliferation of the new offspring. Since the developing fetus depends entirely on mother's body for all the necessary resources, it has to signal the maternal body its existence as soon as possible. This is to prohibit the turnover of the menstrual cycle in order to keep the pregnancy. Different mammalian taxa have developed different mechanisms for this signal to establish pregnancy (for a review, see Niswender et al., 2000). In humans and other higher primates, the establishment and maintenance of pregnancy is mainly achieved by CG. CG is detected as early as 1 week after fertilization. CG functions by binding to the LH receptors in the corpus luteum so that LH cannot initiate the follicular phase. As a result, the corpus luteum continues to produce progesterone and the pregnancy can be maintained. CG is the major agent to block the menstrual cycle up to end of the first trimester (13 weeks). By then the fully developed human placenta becomes capable of producing progesterone on its own. At this time the corpus luteum is no longer needed. Thus, CG provides a bridge for the developing fetus to get to the point where it can support the pregnancy on its own. Besides this direct interaction with the LH receptor, CG is also known to function in an indirect way to establish pregnancy by blocking the action of another protein hormone, prostaglandin. This function of CG is relatively little understood and not discussed in detail here. CG is a member of the glycoprotein family, which includes CG, LH, FSH, and thyroid stimulating hormone (TSH). These four hormones are all made up of two peptide subunits: the a and P subunits (Albanese et al., 1996). All four hormones share the same a subunit, encoded by the single-copy glycoprotein hormone a-subunit gene. It is the unique P subunit of each gly-coprotein hormone that confers biological specificity to each hormone (Albanese et al., 1996). The P subunit of CG is most similar to the P subunit of LH. It was proposed that the P subunit of CG evolved from a duplication of the ancestral P subunit of the LH gene (Fiddes and Goodman, 1980; Talmadge et al., 1984). One observation supporting this is that the CGP-subunit and LHP-subunit genes are both located on chromosome 19q13.32 in human, as would have been the result of a tandem duplication. Compared to this, the FSHP-subunit gene is located on chromosome 11p13 and TSHP-subunit on chromosome 1p13. There are two major differences between the CGP-subunit gene and the LHP-subunit gene. First, they are expressed in different tissues. While LH (also FSH and TSH) is produced by the pituitary gland, CG is expressed in the placenta. This means that both the a and P subunits of CG are expressed in the placenta. The a subunit of CG is common to the other glycoprotein hormones, implying that the a subunit should be expressed not only in the pituitary gland but also in the placenta. This is not the case for the a-subunit gene in other mammalian species, where CG is not present. The second difference is that the CGP subunit is 24 amino acids longer than the LHP subunit (see later). In the following subsections, the molecular biology and evolution of the CG subunits will be described in detail. How did the a subunit of the glycoprotein hormones acquire the ability to express in the placenta in some primates? Analysis of the sequence of the CG a-subunit promoter has shown that two types of promoter elements control the placental expression in humans. The first is the trophoblast-specific element (TSE) and the second is a pair of enhancer elements, called the cyclic-AMP response elements (CREs) (Nilson et al., 1991). The exact sequence recognition site in TSE is not yet clearly resolved. CRE is an eight-base palindromic sequence (TGACGTCA) to which the transcription enhancing proteins bind (Figure 4A). (Maston and Ruvolo, 2002; the chimpanzee has not been studied). The orangutan also has two copies of CRE, but one copy differs from the perfect palindrome by one base pair (TGA7GTCA instead of TGACGTCA). In vitro expression studies showed that this one base change reduces the expression of a reporter gene by more than 200 times compared to the promoter containing the correct palindrome CRE (Bokar et al., 1989). Therefore, the orangutan probably possesses only one effectively functional CRE element (Maston and Ruvolo, 2002). Maston and Ruvolo (2002) also showed that Old World monkeys have only one copy of CRE, and New World monkeys and nonprimates possess a single copy of the imperfect palindrome sequence (TGAT-GTCA). No species outside of the primates is known to express the a subunit in the placenta. 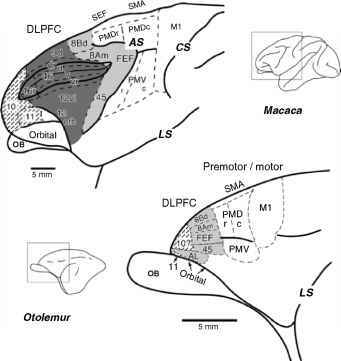 It is therefore parsimonious to assume that the ancestral CRE element (not functional) is TGAXGTCA as found in nonprimate mammals. A T^C transition resulted in the functional CRE element in the common ancestor of Old World primates. A plausible scenario is that the duplication to create the second CRE occurred in the ancestor of the hominoid lineage, to be shared only by the human, the gorilla, and the orangutan. Since Aotus and Callicebus have a single CRE sequence that is ancestral, they do not have a functional CRE element. In other words, these species must have evolved a different mechanism to enable the placental expression of the a-subunit gene (Maston and Ruvolo, 2002). CGP-subunit gene must have occurred in the common ancestor of the New World monkeys. Two additional CGP genes arose in the catarrhine common ancestor and then also in the common ancestor of Colobus and Presbytis. In addition, one aditional CGP gene arose in the common ancestor of hominoids and two additional CGP genes in the human lineage. The evolution of the CGP-subunit following the duplication of the LHP-subunit gene should entail at least two steps. First, as mentioned earlier, CG is expressed exclusively in the placenta, while LH is expressed exclusively in the pituitary gland. This means that the promoter region of CGP had to evolve a new sequence to enable the unique placental expression of CGP. In vitro expression studies have shown that there are specific regions in the CGP-subunit gene promoter that are required for placental expression (Hollenberg et al., 1994). However, the exact sequence changes that were needed to establish the placental expression have not been determined yet. The second step is as follows. The coding regions of the P subunits of human CG and LH are similar up to a frameshift mutation in the third exon. This frameshift was caused by one nucleotide deletion, which is 22 nucleotides upstream of the LHP-subunit stop codon. This deletion destroyed the original stop codon and added 72 nucleotides to the coding region of the CGP-subunit. Thus, the P subunit of CG has a unique carboxyl tail of 32 amino acids with no homology to the coding region of the P subunit of LH (Fiddes and Goodman, 1980; Talmadge et al., 1984). Interestingly, there are four sugar chains that are attached to this part of CG. Maston (2001) found that the CG sequences from human, orangutan, Presbytis, Colobus, and Macaca have the same frameshift mutation. This strongly suggests that there was a single deletion event in the common ancestor of those species (the catarrhine common ancestor) that generated the new carboxyl tail of CGP-subunit. However, this was not the case for the CGP-subunit genes from the New World monkey species. They also possess a single base deletion to create the tail, but the most likely position of this deletion is inferred to be six nucleotides upstream from the frameshift found in catarrhines. However, it is difficult to decide whether this was truly a different deletion event because hypothesizing the same deletion event as in catarrhines requires only two or three extra mutations. The newly created carboxyl end of the CGP-subunit gene shows an episodic mode of molecular evolution (Maston, 2001; Maston and Ruvolo, 2002). Likelihood test analyses indicated that the dN/dS ratio was unusually high (significantly greater than 1) in four branches: the branch leading to the hominoid common ancestor, the terminal branch leading to humans, the branch leading to the platyrrhine common ancestor, and the terminal branch leading to Callicebus. The ratio was also high in three other branches, though the branches were too short for the ratio to be statistically significant. Therefore, it was suggested that there have been periods of positive selection acting on this portion of the CGP-subunit gene during the evolution of higher primates. Figure 4B summarizes some of the molecular evolutionary events during the evolution of CG in higher primates. According to Maston (2001), the new hormone CG achieved the function of pregnancy establishment twice in primate evolution: once in the catarrhine common ancestor and once in the platyrrhine common ancestor. After the duplication of the LHP-subunit gene in the common ancestor, one of the two duplicate genes appears to have evolved independently in the two groups of anthropoids: the platyrrhines and the catarrhines, supported by several lines of evidence (Maston, 2001). First, as mentioned earlier, there were possibly different single-base pair frameshift mutations within the coding sequence. Second, the promoter region of the a subunit shows different CRE binding sites in the two groups. In addition, there seem to be different underlying forces for the evolution of the P-subunit genes in the two groups. The hominoid genes show a steady increase of serine residues, which are used as binding sites for glycosylation, while there is no such pattern in the amino acid changes in the platyrrhine sequences. The evolution of CG shows how a new duplicate protein hormone gene in primates acquired a new expression profile. Also, the DNA sequences of the P-subunit specific for CG adopted a frameshift mutation to encode a novel carboxyl tail. This shows two aspects of the evolution of proteins (hormones); evolution of a novel expression pattern in tissue or developmental time by modulating regulatory sequences, and protein sequence evolution to acquire new or changed (improved) function.